One day, my endless suffering from Ehlers-Disability ended. I had always thought that if I got out of pain and out of bed, I would only be happy. Nope. The grief chokes me. I have had years of nightmares about it. Nearly every situation reminds me of life lost. I relate to no one. Those with Ehlers-Danlos are so sick. I am not one of them anymore. They are a searing reminder of how I was. The never-chronically ill, those never-disabled don’t know what it is like to suffer unlivable pain day-in day-out. To have hardly the energy to take a shower. To have no quality of life, no chance of escaping torture, no choices, no independence, no hope, year after year. “But you look so healthy!” They exclaim if I say I was very sick for a very long time. I rarely mention it. Where is the support group for those who got out of prison for a crime they didn’t commit? Stop it! Stop it! Think about that later, when you are well. Now only think about what you can do to get better. That “friend” who turns you against other people in your life. 16 Surprising Reasons Why I Don’t Read The Mighty! With a name like The Mighty, I was expecting to be inspired. You can see why I call the complaining platform The Mighty “The Toxic.” What a waste of precious energy for a sick person. My thought stopping worked. At the time, I thought I was so strong, so good at maintaining my sanity. Looking back, I would say the Vicodin and morphine really helped. Opiates are like a warm blanket that make everything seem okay. In that way, opiates are a great choice for the hopelessly ill. More on long-term opiates later. Since I cannot find a support group for those who got out of prison for a crime they didn’t commit, I have been looking for stories of the wrongful convicted, unjustly imprisoned. Maybe there I can find a way to come to terms with my life. I stumbled on the podcast Serial. I was hooked. I kept staying up well past midnight, propped up awkwardly on my elbow because I really meant to turn off my iPad in just a second. But I didn’t. Come morning, I was sleep deprived with a neck ache. Repeat. Serial is so compelling not because there is any confusion about who killed Hae Min Lee. It is the setting, the characters, the suspects, the cultural issues, how young the players were. It gets even better with the Monday morning quarterbacking by the reporter, the Innocence Project lawyer and the advocate. Fascinating! There was so much loss in the story. Adnan got life plus 30 years. Yikes. Hae Min Lee lost her life. Both families lost so much. Such a tragedy. Before we get to my emotional processing, a few thoughts on Serial and Adnan Syed. This story is fun to break down. Given how high on weed Jay, Adnan & Co. were on January 13th, 1999, the conflicting timelines were no surprise to me. It’s cute the way potheads lack short-term memory. Upside: the stress of life eased. You might end up burying a body as a favor for someone you hardly know. Or thinking you will get away with murder, even though you tell people you killed your ex-girlfriend. Jay knew where the dead girl’s car was and took the police to it. That made credible his claim that he helped Adnan destroy evidence and bury Hae. That is what convicted Adnan. The reporter, the Innocence Project lawyer, and the advocate pretend that was irrelevant. 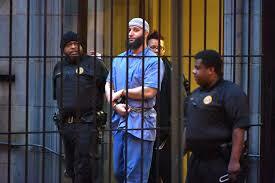 Adnan said he didn’t know what Jay’s testimony would be until he heard it at trial. So, naturally, the basis of his appeal was that his attorney was so incompetent, she didn’t get the police interviews with the star witness. Surely negligence of that magnitude would get you a new trial. Since that wasn’t the claim in his appeal, I guess that isn’t what happened. When your Coconspirator or Accessory After-The-Fact decides to cooperate with the police, it’s time to make a plea deal yourself. Am I the only one who watches Snapped? I wish his defense attorney were still alive so we could ask her about that. Did she beg him to plead guilty, avoid a trial and settle? Adnan proclaimed his innocence at his sentencing hearing, against his lawyers’ strong admonishment not to, winning himself the prize of life plus 30. If he hadn’t done that, he would have gotten a shorter sentence. Perhaps he would even be out by now. Oops. That’s the worst decision he made since telling a guy at his mosque that he had murdered Hae. Maybe Adnan asked for the longest sentence possible since he could not disappoint his parents by admitting his crime. What if they turned on him and he had no one while in prison? After listening to his interviews on Serial, I do believe he loved Hae and is sorry. Is Sarah Koenig for real? Or was she playing us, so she could drag this story out and create mystery. She is an excellent writer and story teller. Surely Ms. Koenig is too intelligent to believe Adnan got convicted because of the prosecution’s timeline or so much boring cell phone tower discussion at trial. Hae’s car! Hae’s car! Hae’s car! Jay knew where Hae’s car was. That was a slam dunk. The jury thought so too. They deliberated for about 90 seconds. Okay two hours. Lovers get murderd when they leave. Or for the insurance money. Am I the only one who watches Snapped? Yet, Sarah Koenig shrugged off jealously as a motive for Adnan. That’s disturbing. Does she actually not understand human emotion? She gushed over the charming, conscience-deficient Adnan. Maybe she relates to Adnan as journalists are in the top 10 professions of sociopaths. Is Deidre Enright for real? When Sarah Koenig asked her if Adnan could be a sociopath, she laughed derisively and said patronizingly, “Sarah, what are the chances you would be so lucky that you would encounter a real sociopath? Ha ha ha.” As if sociopathy is an ultra-rare, 1 in 60 million disease. And cute on top of that! Ms. Enright could have said something intelligent, like even if he is a sociopath, doesn’t mean he did it. Maybe she relates to Adnan as lawyers are in the top 10 professions of sociopaths. Is Rabia Chaudry for real? She is a family friend of Adnan, the one who got Sarah Koenig to re-tell Adnan’s story in Serial. She left her first husband because he was abusive, yet she is spending her life trying to free a man who killed his girlfriend, the ultimate act of abuse. Um, wow. Ms. Chaudry’s psychological blinders are impressive. In interviews, her assumption is something went wrong, and that is why Adnan got convicted. She gives no reason for why he must be innocent. She just throws rocks at her misinterpretation of the prosecution’s case and claims racism. Or cop corruption. Or whatever. I nearly fell over laughing when she said on the first episode of Serial that she thinks Adnan’s defense attorney deliberately lost his case so she could make more money on appeal. You can believe that as long as you don’t say it to a trial lawyer. It’s like the way people say no one ever got hurt or committed a violent crime while high on marijuana. You can believe that as long as you don’t say it to an ER doctor. Oh wait, I know of one case where someone did murder while high. Pot-enthusiast Adnan Syed must have been under-the-influence when he strangled Hae Min Lee because marijuana has a 67 day half-life in humans. That is why people don’t think they have pot withdrawal symptoms. It takes forever for it to leave the body. The half-life of Vicodin is 4 hours. You start shaking, sweating and craving it abruptly and real quick. And f*ck! it hurts. Let’s flip a coin on Ms. Chaudry. Heads — She gets treatment for Battered Woman Syndrome and finds a worthy cause for her talents, rather than spend her life on the side of an abusive man, trying to undo the justice for the woman he killed. Tails — She gets treatment for Battered Woman Syndrome because her not letting the Syed family endure this tragedy and their shame privately in peace is extremely cruel. Is that her point? Passive-aggressive revenge for her own past abusive relationship? I’m sure the Syed’s know their son did it. I had fully accepted my fate when I was diagnosed. I was so tired and in so much pain, and had always been, I was relieved to have an explanation for why I failed at everything no matter how hard I tried. I only wished to get better, which, I knew, of course, was impossible. I didn’t know I had to accept Ehlers-Danlos all over again when I got well. Once I got well, I got to know myself and life in ways I had not had the opportunity to experience while so desperately ill. I was horrified to find how much else there is to life, and how much I have missed. Like it makes me want to scream. Or throw up. To add to my anguish by demanding my life should have been different is self-torture. And why? Rare genetic disorders happen. Why should I have been exempt? Right. Ehlers-Danlos ruined my life. This should not have happened to me. Once I accepted that Ehlers-Danlos ruined my life, once I stopped protesting, stopped insisting that it should have gone differently, my depression and even PTSD phenomenon lifted considerably. Wish somebody had told me this was the secret to less distress. That’s why I am telling you. Adnan was under tremendous pressure to earn his parents’ conditional love and approval. They expected him not to integrate into our open American culture. They demanded he be a teenager without real human needs, an idealized version of what would reflect well on them. Adnan lived his life hiding what he was doing and who he was from his parents, and doing it high, which he says they never noticed. That’s a big load for a kid, and yes he was a kid. You do stupid things until your brain is done developing around age 25. What if Adnan could have gone to his mother with his intolerable feelings about the end of his relationship with Hae? What would my blog post this week have been about then? In the final episode of Serial, Adnan finally authorizes the Innocence Project to request a DNA test of what was under Hae’s fingernails. He sounds completely terrified about this. And why didn’t his defense attorney request this at the time of his trial? Why didn’t he appeal over that omission? Oh, right. Maybe Adnan couldn’t process Hae’s rejection because his thinking and emotions had been befuddled by pot. Maybe her jilting of him plus the weed made him panicked and paranoid that no woman would ever love him. Maybe he couldn’t remember that murder is a ticket to prison. Maybe he had been high for too many years to be in touch with reality. Maybe without the influence of that drug, he would have only been really upset that he got dumped. Adnan has a story to tell, one that could help the world. No, not the silly book Rabia Chaudry wrote called Adnan’s Story. Adnan, tell us. What happened? What were you thinking and feeling at the time? Do you have any wisdom on how could this have been prevented? Why did you become a murderer and not a journalist or lawyer? No one finds it hard to believe that a young person can become acutely depressed and kill himself. Adnan directed the overwhelming confusion and impossible emotions of his life outward. Hae’s rejection of him meant there was something wrong with her, and she — not him — had to die because his feelings felt unsurvivable. Hae had to hide their relationship from her family, too. What if Adnan and Hae could have been a couple openly? If he’d been to her house? if she had been to his? If they had met each other’s families under friendly terms? If he had looked her mother in the eye and had a cup of tea with her, maybe that would have caused him to have enough consideration for Hae that he could have resisted acting upon his urges to try to extinguish his pain by killing her. Or maybe he is a sociopath. Maybe the lesson here is that all kids should be taught that others have rights and crimes have penalties, and not to ruin their lives over selfish emotions that can be dealt with, even if they seem impossible. Maybe some combination of all of the above. Who knows. Adnan could help us understand. Not the f*cking cell tower pinging or theoretical timeline, when no one knows where and when Adnan strangled the life out of Hae, closed her car trunk over her dead body, went off to find consolation by dragging others into his crime and bury her in a shallow grave in the lonely, icy woods. Let’s examine this disturbing incident reported yesterday on We Rate Dogs. The crime remains unsolved.